(Trent Nelson | Tribune file photo) 3.2 beer on the shelves at Smith's Grocery in Salt Lake City, Friday, January 26, 2018. The selection of 3.2 percent beer in Utah grocery and convenience stores is expected to decline — as much as 40 percent — later this year. The beer industry want the Utah Legislature to change state law to allow beer that is 4.8 percent alcohol in stores. The LDS Church, however, has announced its opposition to the change. 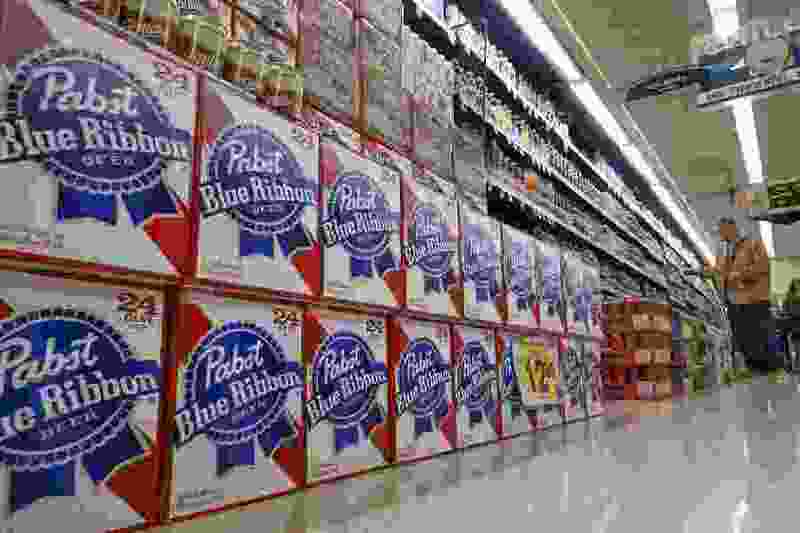 The sponsor of a bill to put higher-alcohol beer on Utah grocery store shelves says he’s not particularly surprised or upset that the LDS Church has come out against the measure. That doesn't mean he's caving to his proposal's formidable opponent. Sen. Jerry Stevenson, who wants to raise the limit from 3.2 percent to 4.8 percent alcohol by weight, said he’s not sure how pushback from the church will affect his bill’s chances of success. But he expressed interest in sticking with the current version, rather than diluting it to please The Church of Jesus Christ of Latter-day Saints. The church declined interviews about its stance but sent a prepared statement from its director of government relations, Marty Stephens. “The Church opposes Senate Bill 132 in its current form. We, along with other community groups, oppose legislation which represents a fifty percent increase in alcohol content for beer sold in grocery and convenience stores,” said Stephens, a former Utah House speaker. The faith, which teaches members to abstain from alcohol as part of its health code, exercises significant influence in the Utah Legislature, where nine of every 10 lawmakers are Latter-day Saints. Senate Majority Leader Evan Vickers acknowledged that the church’s opposition does “change the dynamics” for the bill but said Utah must respond to industry trends. “Otherwise, we run the risk of being the only state in the union not having the same policy as the rest of the country, so it’d make it difficult to receive the supply that we need,” he said. The church’s stance on the bill will affect debate as does the position of any influential group, such as the Utah Medical Association or Utah Association of Counties, Vickers added. While lawmakers will consider the input, the Cedar City senator still expects “to have a good policy discussion” on SB132. Even with the proposed hike to 4.8 percent — or from 4 to 6 percent alcohol by volume, the more common industry measurement — Utah’s alcohol limit for grocery stores would still rank among the nation’s strictest, Stevenson said. And the point is to keep beer brands from disappearing from store shelves, a problem that’s already started cropping up as big brewers stop producing 3.2-varieties. Large companies, such as Anheuser-Busch and MillerCoors, have said it’s not worthwhile for them to brew lighter beer when demand for it has waned. Sen. Curt Bramble, whose committee unanimously supported Stevenson’s bill last week, said he hadn’t read the church’s statement and didn’t have time to review it Monday. “All I know is the bill passed out of committee unanimously,” Bramble, R-Provo, said when asked how the legislation might fare going forward. During the committee hearing, speakers representing Family Policy Resource and the Utah County Department of Drug and Alcohol Prevention and Treatment voiced concern that the bill would lead to more alcohol abuse, especially by underage drinkers. But Stevenson and Vickers said they believe Utahns would take the change in stride. “If you’re a responsible drinker, and you’re drinking responsibly at 3.2, you’ll drink responsibly at 4.8,” Stevenson said. Kate Bradshaw, director for the Responsible Beer Choice Coalition, said her political action committee and its allies always expected the church would take a position against Stevenson’s proposal. Their plans remain unchanged by Stephens’ statement, she said. “We don’t necessarily see that change our calculus,” she said. “They [the church] are a significant influence here in the state Capitol, but we think there are significant impacts from the phasing out of 3.2 beer nationally, so we hope the legislators will recognize those as important considerations,” said Bradshaw, whose group was formed by small-business owners, Utah grocery stores, convenience stores, beer distributors and brewers. Stevenson said he expects the full Senate will take up his bill next week.